A blue-ribbon panel produced a lively discussion on the causes and alarming increase in the number of Tommy John surgeries performed on young pitchers both on the amateur and professional levels of baseball. 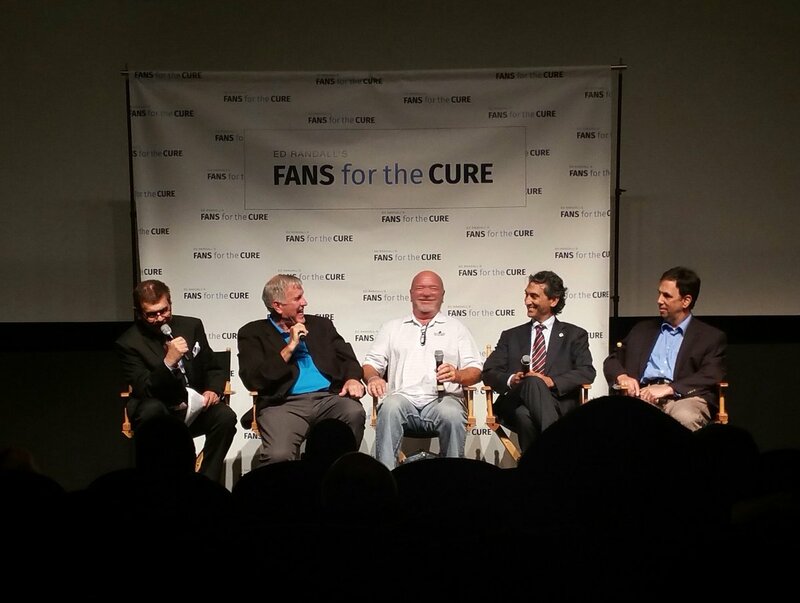 The panel included Tommy John, the first pitcher to have UCL surgery and the man after whom Dr. Frank Jobe named the pioneering procedure, iconic Braves’ pitching coach Leo Mazzone, Yankees’ team physician Dr. Chris Ahmad, and Glenn Fleisig, Ph.D., the research director of the American Sports Medicine Institute. Ed Randall of WFAN and Sirius XM Radio (and founder of FFTC) served as the evening’s moderator. For a panel that came at things from four different vantage points (post-surgical player, pitching coach, surgeon, research/metrics guru), there were clear areas of near-unanimous agreement. The effects of twelve-month baseball on the pitching arms of young players came in for across-the-board criticism. Tommy John and Dr. Fleisig cited the trend to sports specialization, as opposed to a more general approach to a wider variety of sports that would conceivably develop a more balanced set of skills and cut down on wear-and-tear injuries caused by repetitive motions. Dr. Ahmad was particularly compelling in describing a spike in MRI scans among 17-18 year-old pitchers that were consistent with those of much older pitchers he examined when he first began his sports medicine practice. “High school kids with 30 year-old elbows” is how he described many of the patients in his private practice. Not surprisingly, Leo Mazzone stood behind the doctors’ indictment of twelve-month baseball, while also holding up the ubiquitous radar gun for special scorn, an opinion also endorsed by Dr. Fleisig. Pointing to his record of managing a staff of Hall of Famers who combined excellence and endurance, Mazzone urged pitchers to follow his program of throwing “more often with less exertion.” Tommy John supported this theory, stating that pitchers needed to find one’s “max fastball” for a game, “then back off from it.” In other words, not pitching to the gun. He told an amusing story about striking out 10 Houston Astros in five innings of work in 1976, only to be confronted by a Dodgers’ coach holding a radar gun, telling him that his velocity was “only around 88 mph.” “Do you have an idea what I threw before the surgery?” asked Tommy. “No idea,” replied the coach. All in all, it was an entertaining and enlightening evening with an all-star group of experts bringing their A-games for a great cause. Dr. Ahmad – “Too much professionalism at a young age,” he lamented more than once. He also spoke of meeting with young patients with good MRI scans who nonetheless wanted to have Tommy John surgery either “to get it over with” or to make their arms stronger, a “benefit” all of our experts rejected out of hand as a fallacy. Tommy John – “Between iPhones and iPad, kids aren’t active. They don’t play outside.” He gave the example of having encountered young pitchers who were not developed enough athletically to do a drill that required standing on one leg. Dr. Fleisig – On the misconceptions around Tommy John surgery: a) Only 2/3 of Major League pitchers who underwent Tommy John surgery made it back to the big leagues and stayed there and b) there is NO bump in performance immediately after the surgery. He also spoke of a recent study that demonstrated that overexertion on full-speed fastballs and not curveballs were the cause of the majority of arm injuries. Leo Mazzone – “Throw a lot so that you find your max effort you can put on a pitch without maxing out.” Leo is strongly in favor of removing radar guns from high school games and wishes they were removed or de-emphasized across baseball. “If a scout can’t identify a good without using a radar gun, then that scout isn’t worth a damn,” said Mazzone.